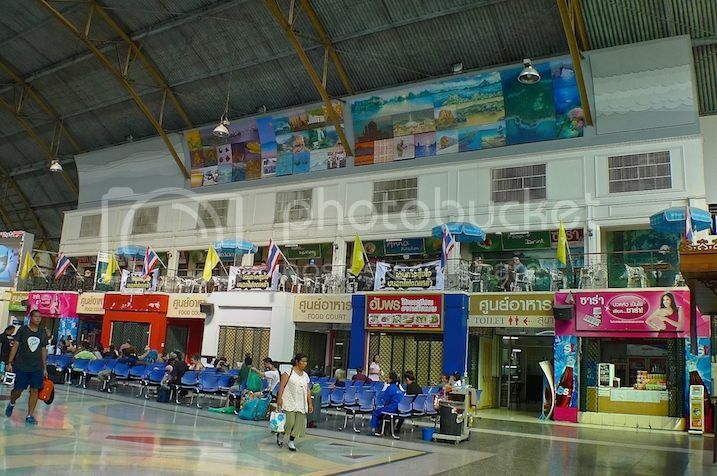 I did not plan to visit the Hualamphong Station also known as Bangkok Railway Station but you will soon learn why I ended up there. OK, we are back at Day 3 of my Bangkok trip back in 2014. Sorry for the outdated post but I am doing my best to complete blogging about this trip. To refresh your memory, my friend and I started out Day 3 with a visit to Wat Ratchabophit before going on a search for the famous Nuttaporn Ice Cream. 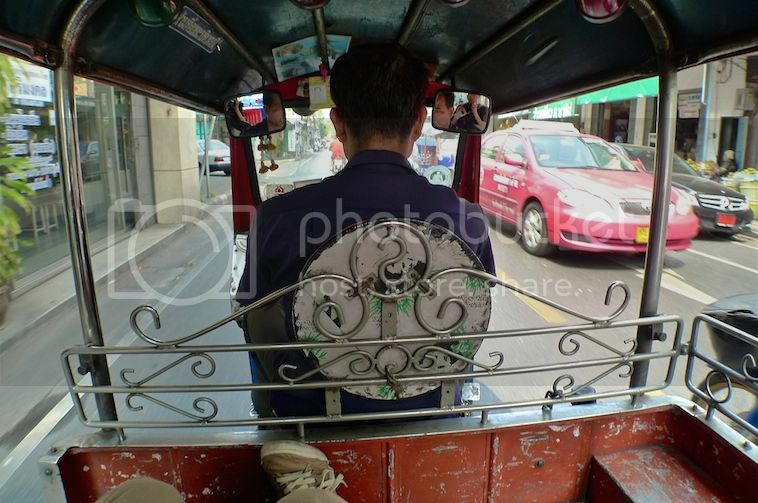 Right after that, we took a tuk tuk to Rattanakosin Exhibition Hall. This tuk tuk driver drove so fast that my cap flew off halfway and landed on the road behind us. I did not manage to retrieve it so I had to say goodbye to my cap! It was a bit nostalgic for me as that cap had been with me for my past trips. Oh well, there was no point getting upset over it and I did buy a new cap later at the shopping mall. Haha! Unfortunately for us, the Rattanakosin Exhibition Hall was closed that day, most likely due to the ongoing political rally in Bangkok at that time. However, I did manage to capture a few photos of the aftermath of the protest rally which happened a few days before. Check out the photos HERE. After walking around for some time, we flagged down a taxi to take us to the Hualamphong MRT Station. 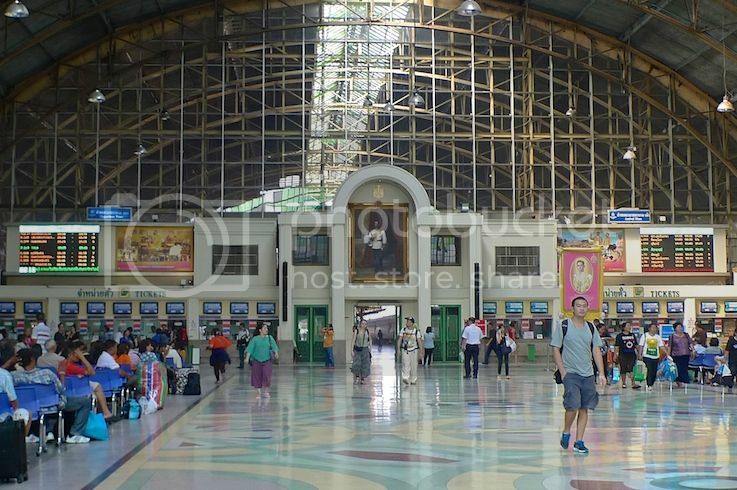 But since we were there, I decided to visit the Hualamphong Railway Station nearby. 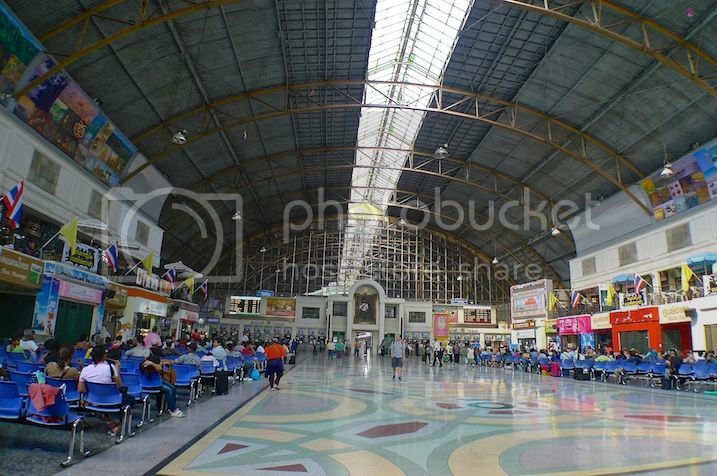 Also known as Krungthep Station, this railway station is the main railway station in Bangkok and serves over 130 trains (according to Wikipedia). 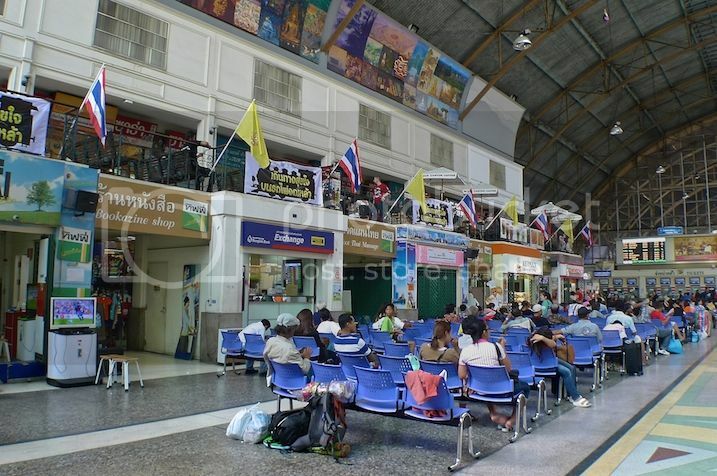 There were shops and eateries on both floors of the station. Satisfied that I had visited this famous train station, we made our move. Where did we go next? We were getting quite hungry, so it's definitely a place to eat!